This graphics will be created live. 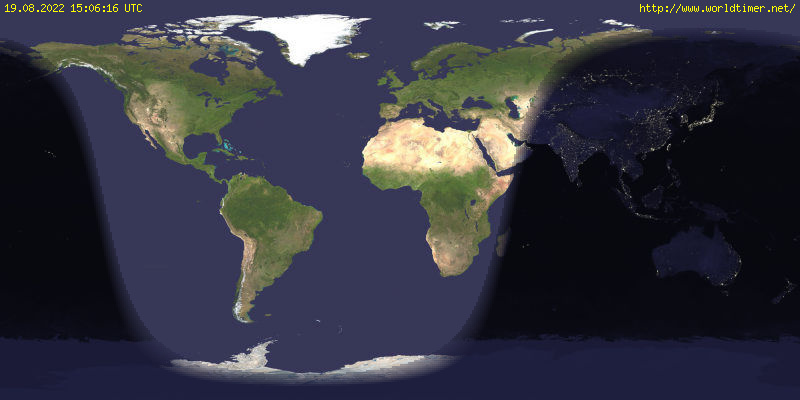 It shows the part of the earth covered by the sun and the dark parts at night time. The so-called solar terminators follow the earth rotation, moving from east to west. Many thanks to Hanno Rein who wrote the original php-script. Generating this page took 0.2580 Seconds.